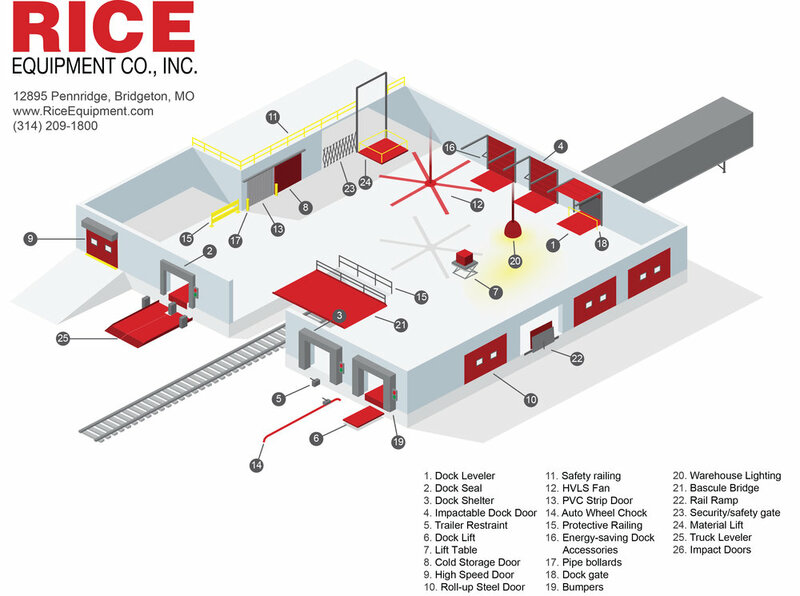 Rice Equipment Company, Inc. is your regional supplier of loading dock equipment, overhead doors, high speed rolling doors, high-speed sliding doors, industrial doors, trailer restraints, big industrial HVLS fans, hydraulic scissor lift tables, material handling equipment and in-plant solutions. We are located in St. Louis and serve Illinois and Missouri bi-state region. 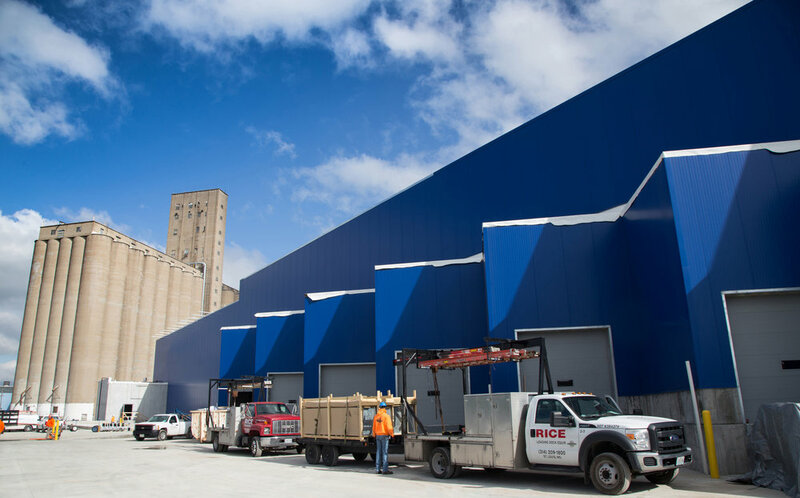 Our Mission: To providing Specialized Loading Dock & Door Solutions Through Quality Equipment, Outstanding Field Service and First-Class Product Support.